Some say moments are best when captured so we can relive them and quite frankly, they kind of have a point. This is why applications like Instagram have a lot of users. In this article, we are going to look at how to build a simple photo sharing application with Pusher, Cloudinary and Ruby. To store posts in a database, a database driver is needed. With Ruby on Rails, SQLite is used as the default database driver, and for simplicity, we are going to continue with that. This creates the database for the application in the db/ directory of your project. At this point, we have our posts table created with the link and caption as fields we wanted. The top bar allows the user to upload pictures to the feed and that is fixed to the top to make it easy to perform the action. The other part part is responsible for displaying the images on the screen to the user. Now let’s take a look at what happens when a submission is made for a new post to be created. When the Post button is clicked, a POST request is made to the ‘photo/store’ route. The index method in the controller is responsible for fetching all the existing posts in the database. Cloudinary is your one stop shop for all your image and video management needs when building applications. With Cloudinary, you no longer have to worry about writing the core code behind image and video manipulations, uploading images. You can read more about all Cloudinary features here. Cloudinary has a Ruby gem and that is what will be used to handle the file uploads. To use the Cloudinary gem, you need to have a Cloudinary developer account to use it in your applications. Head over here to create one if you don’t have one already. Cloudinary automatically checks for a cloudinary.yml in the config directory that contains the configuration file for your Cloudinary account. You can download your own customized file for your account here. 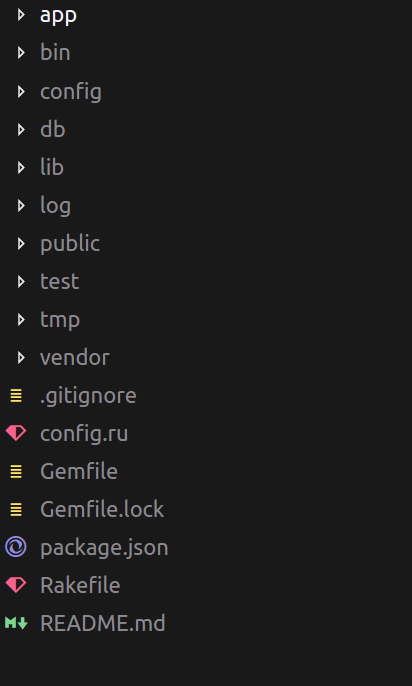 Once it’s downloaded, place the file in the config directory. Now, at this point, we’ve been able to upload a new image using Cloudinary and save the post in the database. Now that the post has been created, you need to let all the users online know that there’s a new post without needing to refresh their browsers. To do this, let’s use Pusher. Pusher allows you to seamlessly add realtime features to your applications without worrying about infrastructure. To get started, create a developer account. Once that is done, create your application and obtain your application keys. The `PUSHER_APP_ID`, `PUSHER_APP_KEY`, `PUSHER_APP_SECRET` and `PUSHER_APP_CLUSTER`  can all be obtained from the [dashboard](https://dashboard.pusher.com) of your application. After the post is saved in the database, a new-post event is triggered in the posts-channel. The Pusher dashboard allows you to debug your application by seeing when events have been triggered. Here, on the client, we subscribe to the posts-channel and listen for a new-post event. When an event is broadcasted we then update the UI to show the new post. 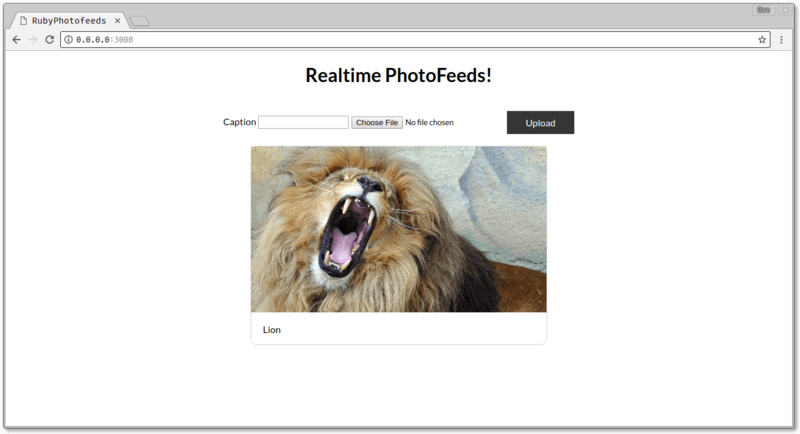 In this article, we’ve seen how to use Ruby and Pusher to make a simple realtime photosharing application. Feel free to apply these concepts and explore the Pusher documentation for more exciting features.Lastly, the complete source code of this demo application is on GitHub.